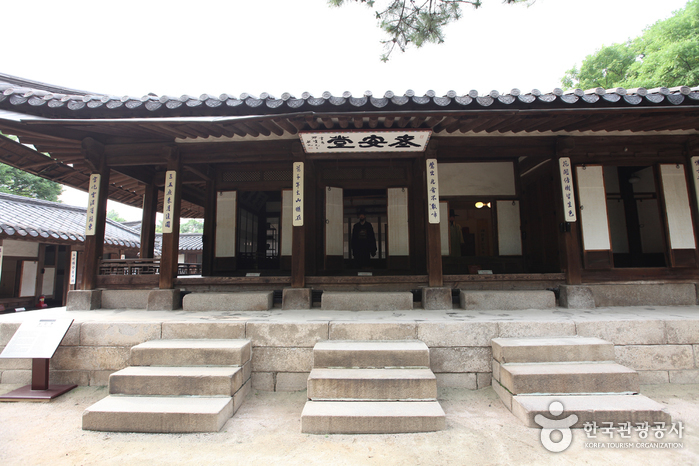 Unhyeongung Royal Residence was the home of young Gojong, who later became Emperor during the Joseon Dynasty. 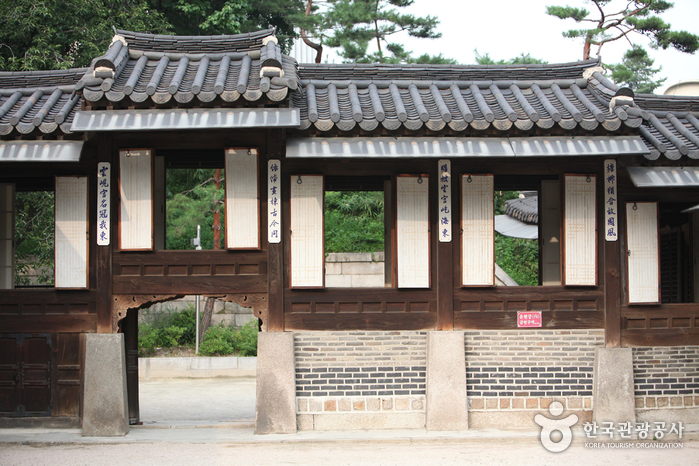 Under order of Queen Mother Jo, Unhyeongung was renovated into a grand, palace-like house with four gates. 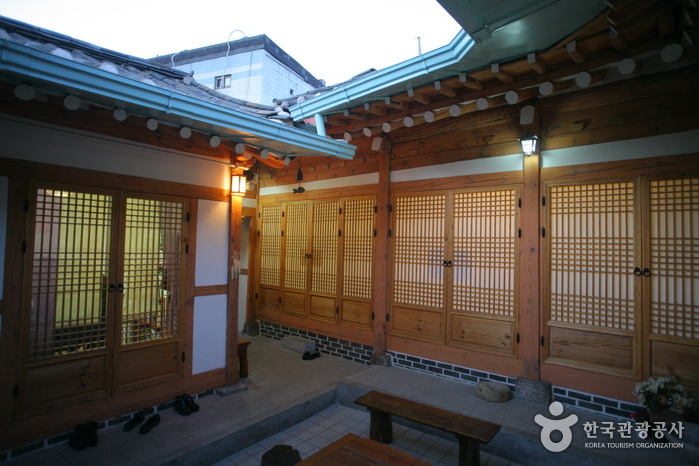 Gojong’s father, Yi Haeung, or better known as Heungseon Daewongun, continued to live at Unhyeongung for most of his life. 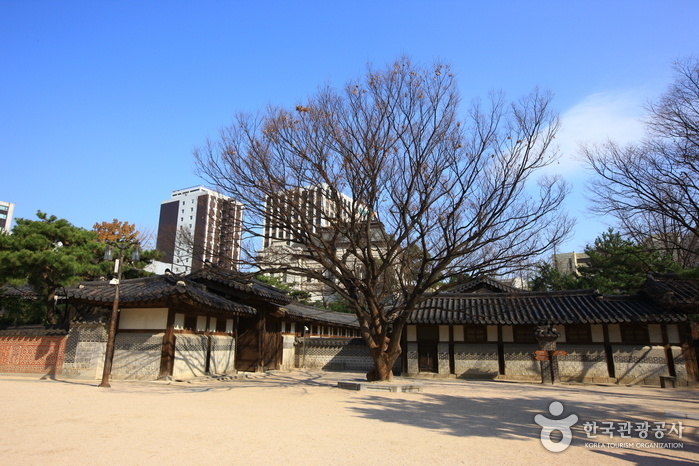 Damaged during the Japanese colonial period and the Korean War, the Unhyeongung Royal Residence seen today is a much smaller version of the majestic structure that it used to be. Entering through the front gate, the first noticeable sight is a small row of rooms to the right. 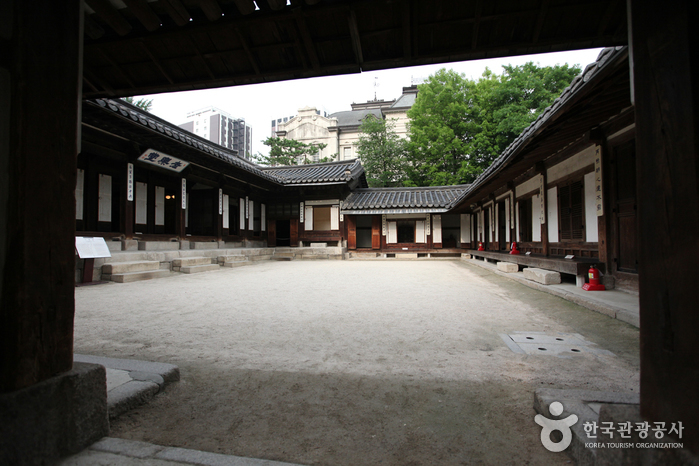 This area, called Sujiksa, housed the servants and guards. To the front, left-hand side of Sujiksa is a structure called Norakdang. 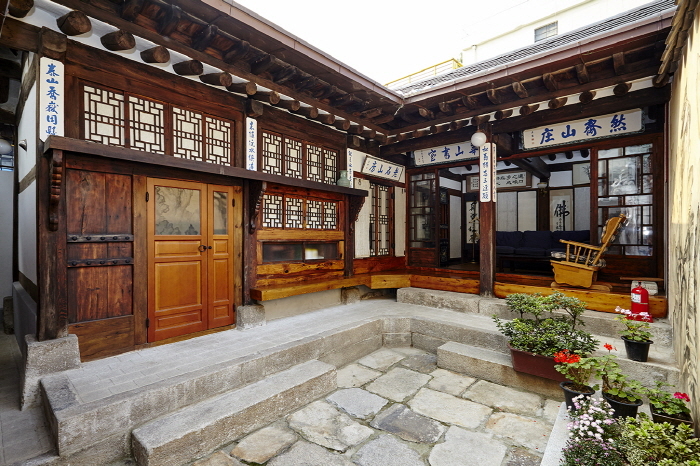 Many important events, such as birthday parties and ceremonies, as well as the wedding ceremony for Gojong and Myeongseong, were held here. To this day, traditional wedding ceremonies continue to be held at Norakdang. Norakdang also served as one of the two women’s quarters. 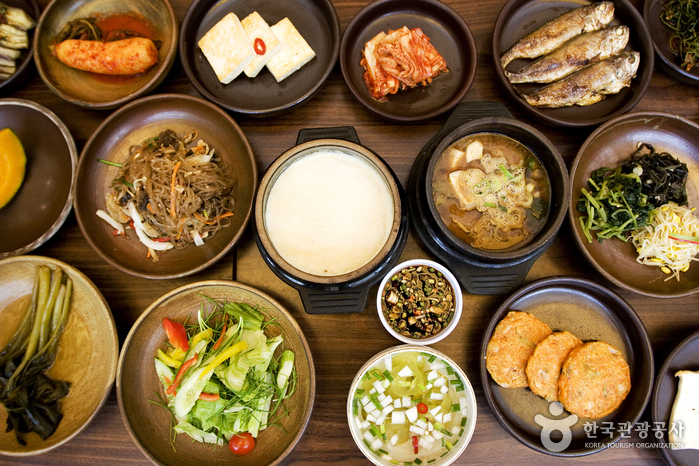 The most notable structure inside Norakdang is the kitchen, which was used for food preparation when hosting important events. Right outside Norakdang, there are several rock structures along the path to Irodang. The rock structures are said to resemble various animals. 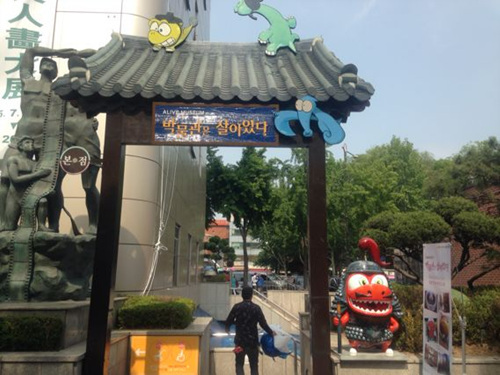 To the left of Norakdang lies Irodang, the main building of Unhyeongung. 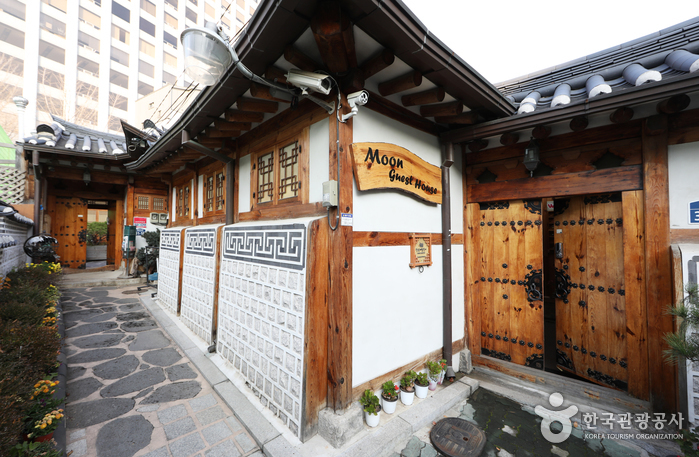 This was where the wife of Heungseon Daewongun resided. Irodang's most prominent feature is its tall steps and square shape. It was built this way in order to help protect the women inside from intruders. 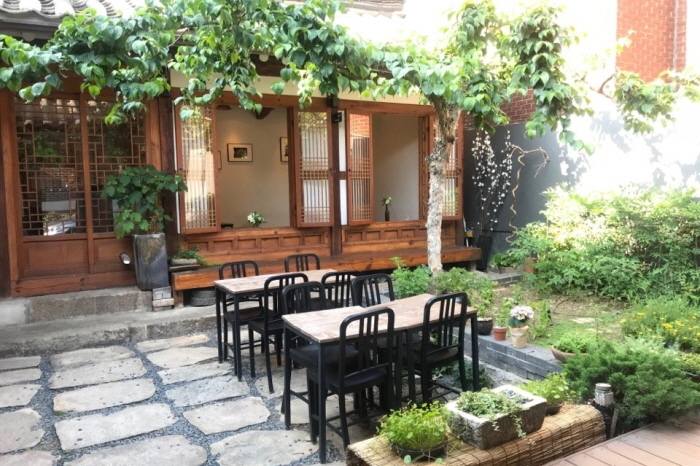 Outside Irodang lays an old well on one side of the wide, open yard. To the right of Norakdang lies Noandang. 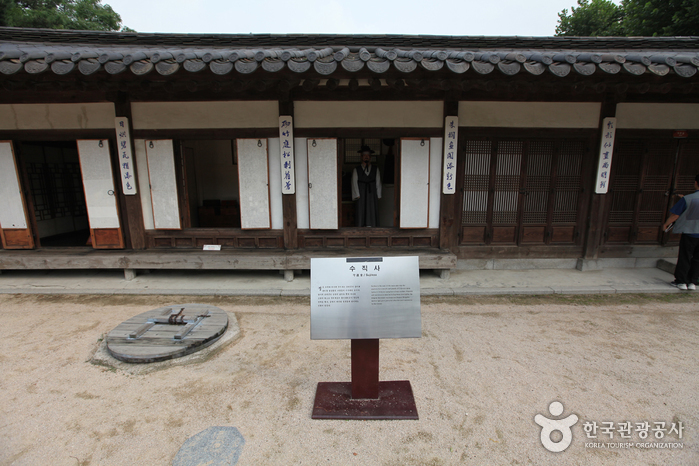 Noandang served as the men’s quarters and was where Heungseon Daewongun received his guests. 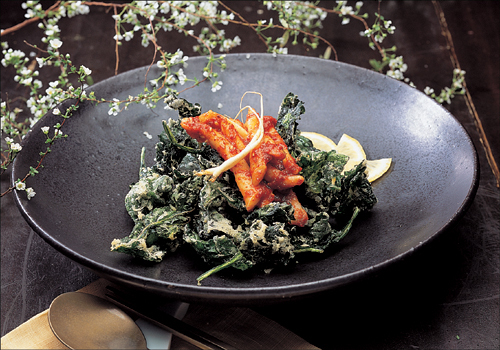 The word noan means "old man" and carries with it the connotation of comfort and ease. Thus, it served as the leisure quarters for the men. 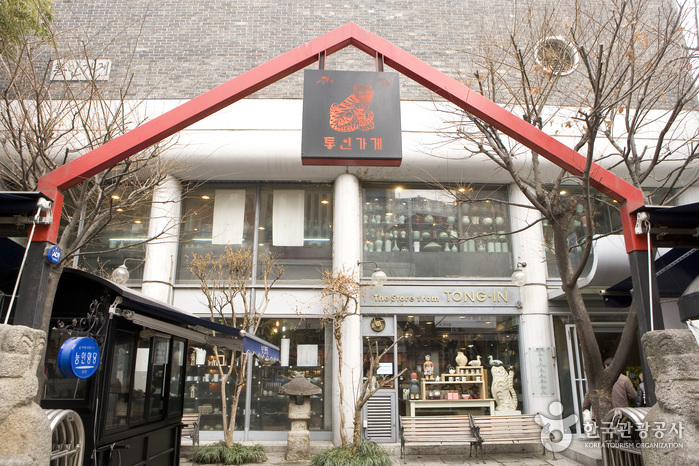 However, Noandang was not just a place of rest and entertainment. 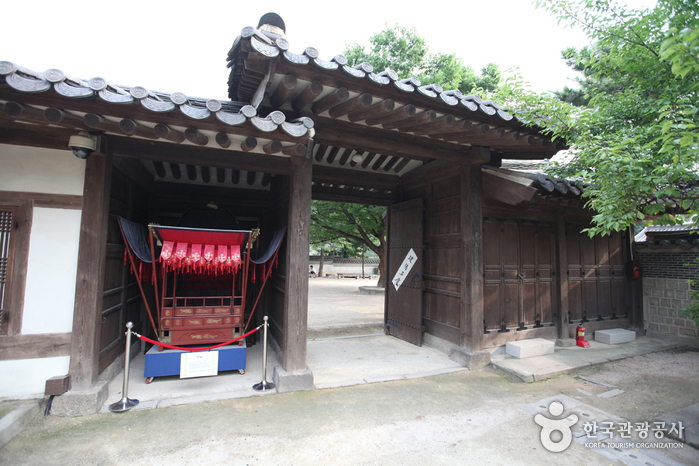 As the father of a young Emperor, Heungseon Daewongun carried out all his business from Noandang. 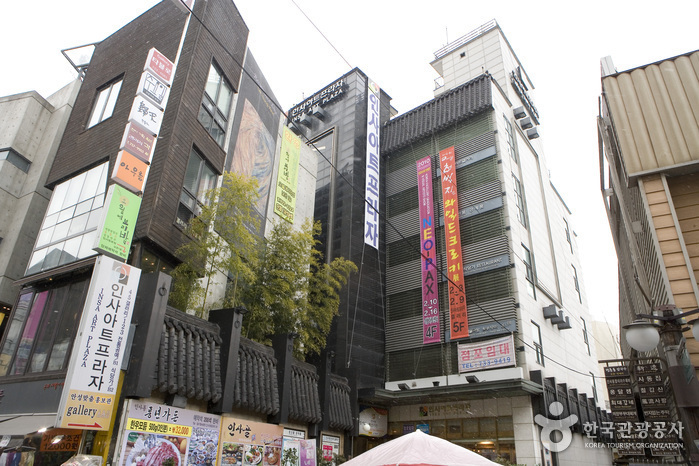 Upon exiting Noandang, there lies an Exhibition Hall to the far right. 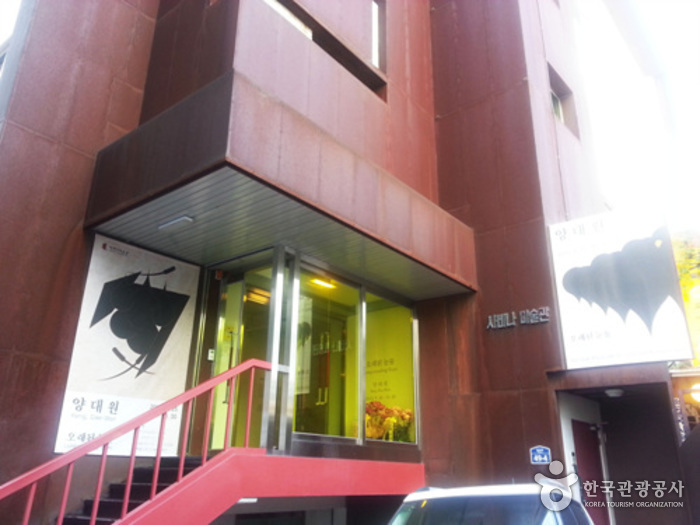 The Exhibition Hall houses a small collection of interesting artifacts and information. 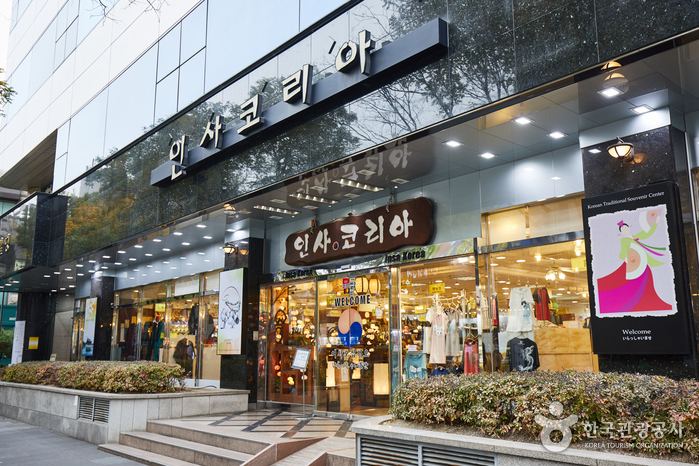 Items such as a scale model of Unhyeongung, writing tools, traditional wedding garments, and more, can be seen here. 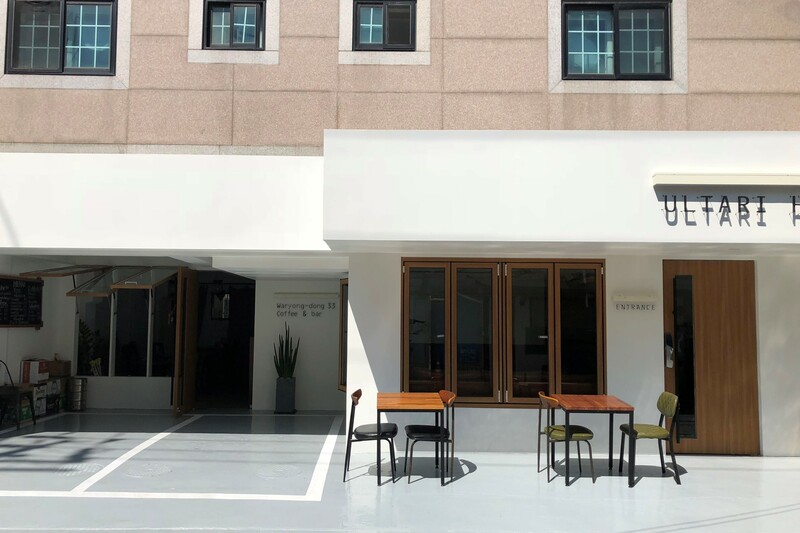 Next to the Exhibition Hall, there is also a small coffee shop and tea room where visitors can enjoy a nice beverage while taking in the sights of Unhyeongung. Mondays * If Monday falls on a public holiday, the palace will be open. 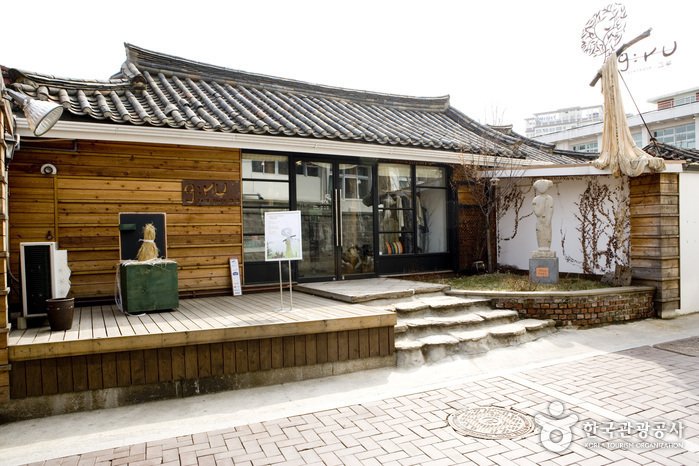 Visitors can try on and learn more about traditional clothing of the Joseon Dynasty. 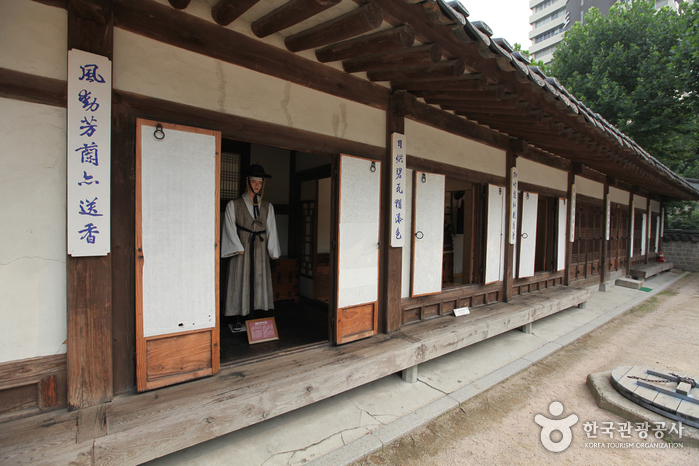 You can wear the cloth and walk through Unhyeongung Palace, and take photos. 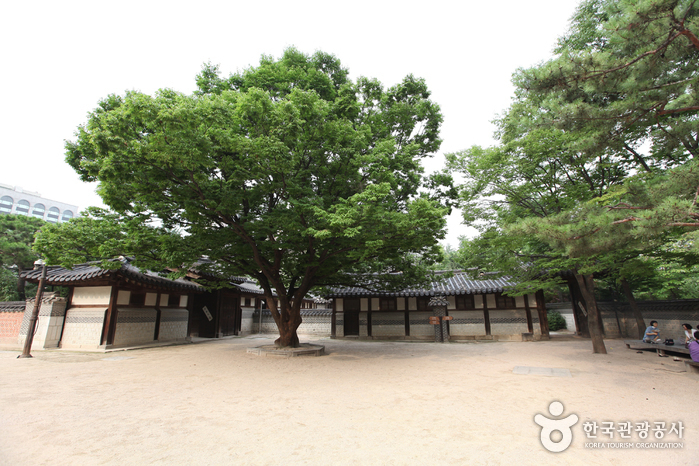 * Rent an audio guide and listen while walking through Unhyeongung Palace. 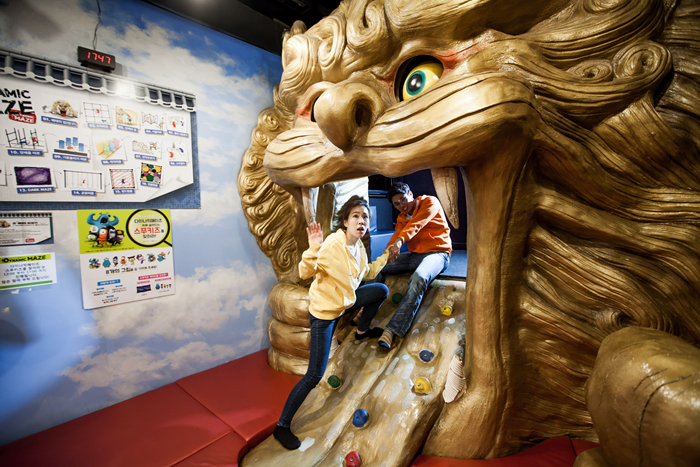 submit the ticket at the audio guide rental counter. 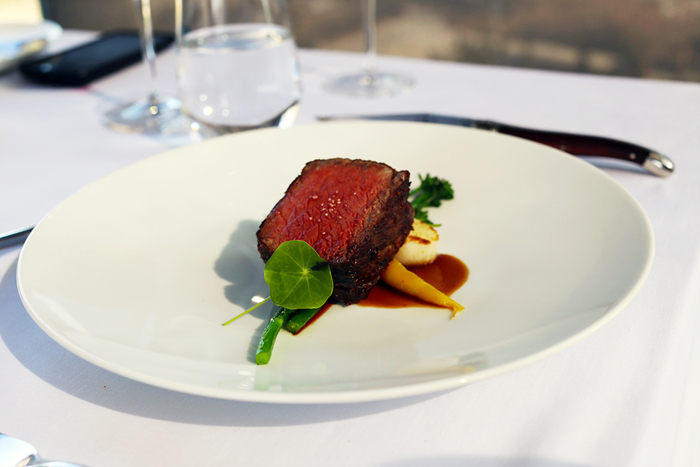 * A government-issued ID card or passport must be submitted for audio guide rental. The ID card or passport will be returned when the audio guide is turned in. * The palace is not responsible for lost bags and other personal belongings. - Walk straight out of the exit 50 m.